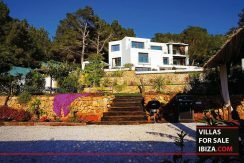 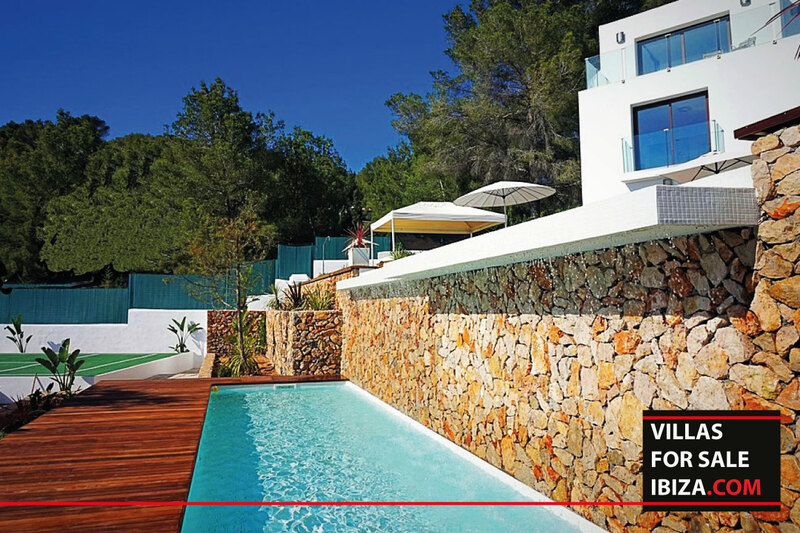 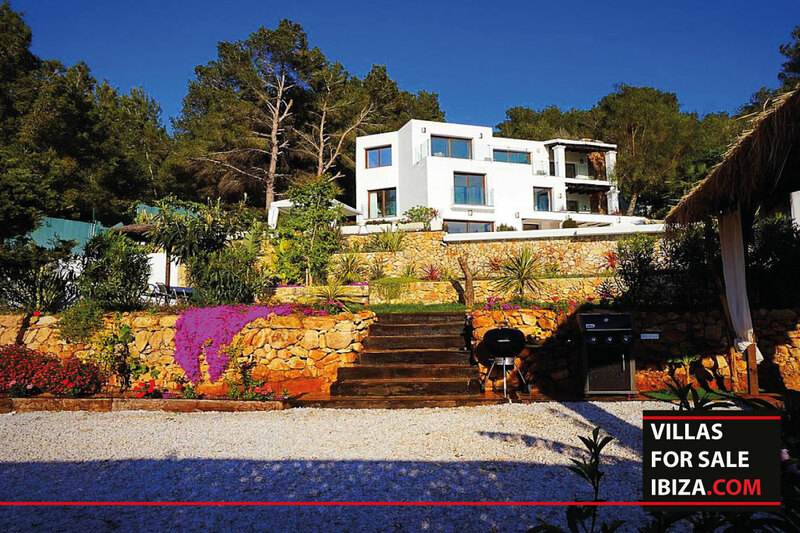 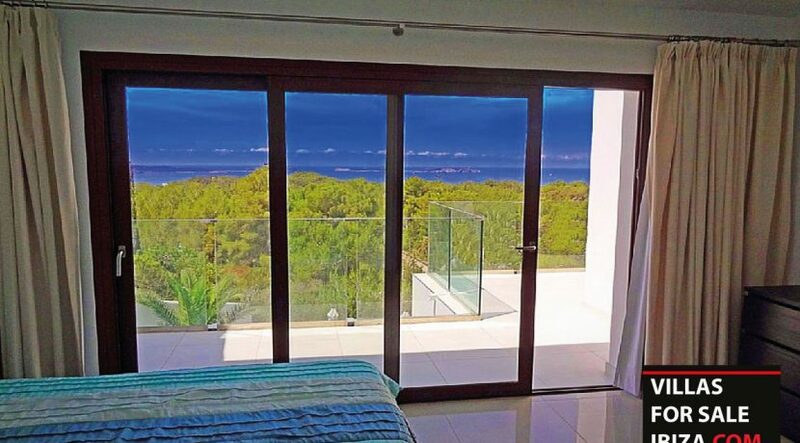 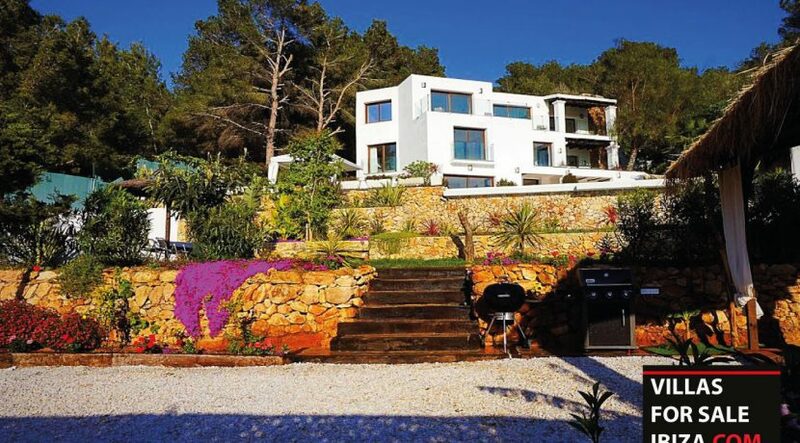 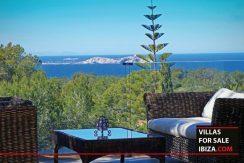 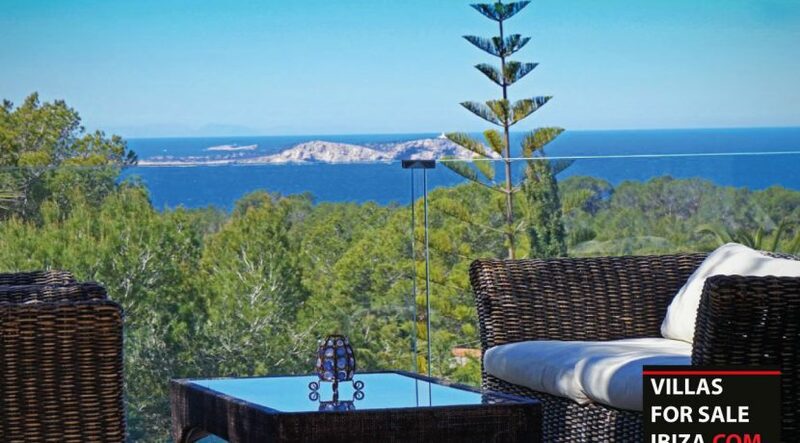 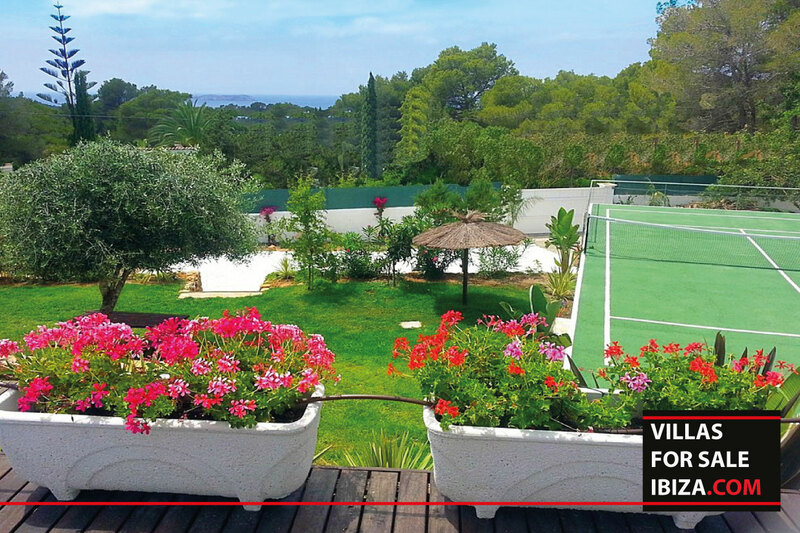 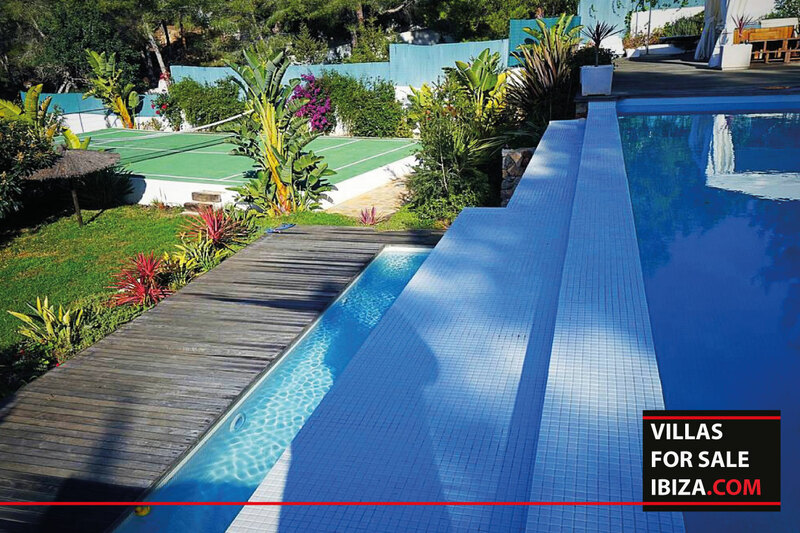 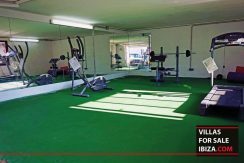 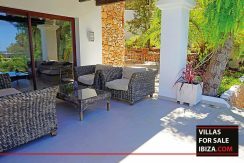 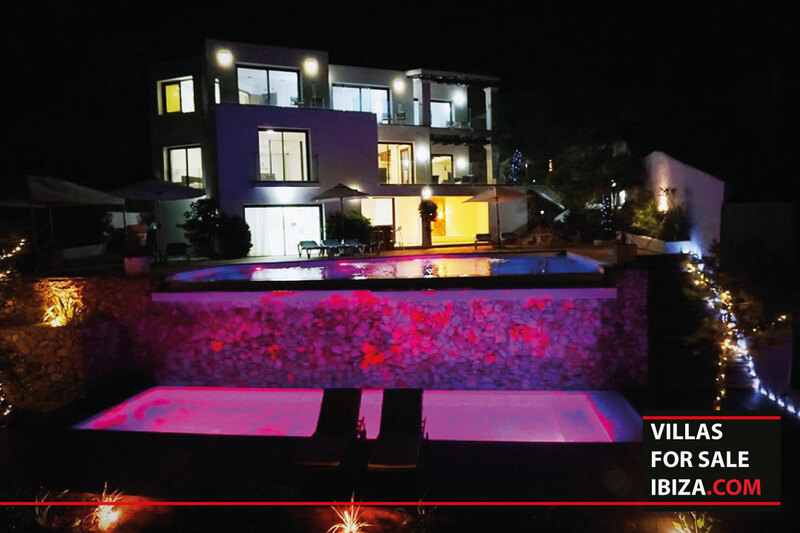 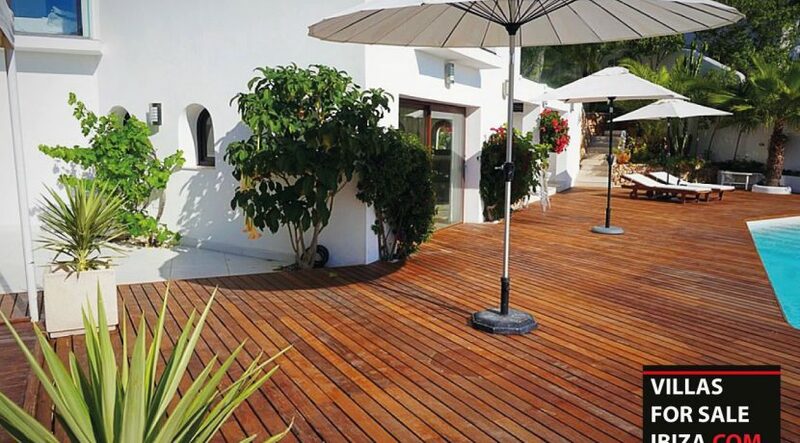 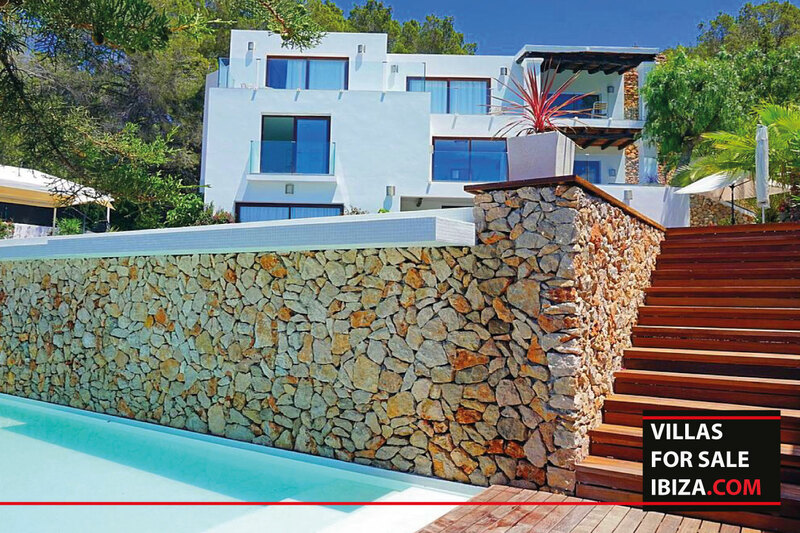 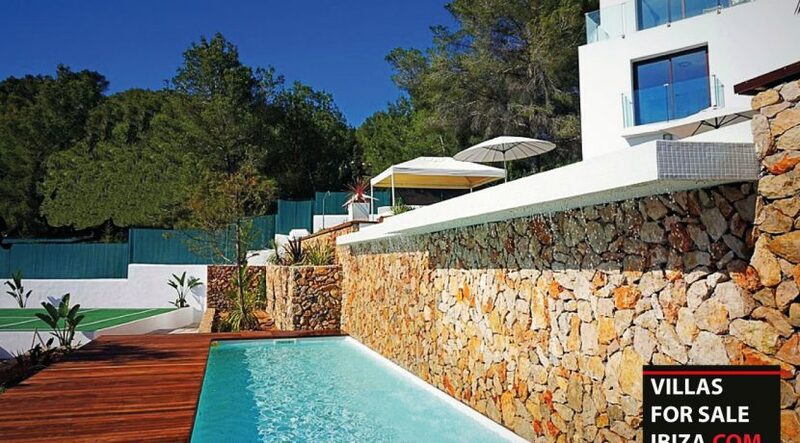 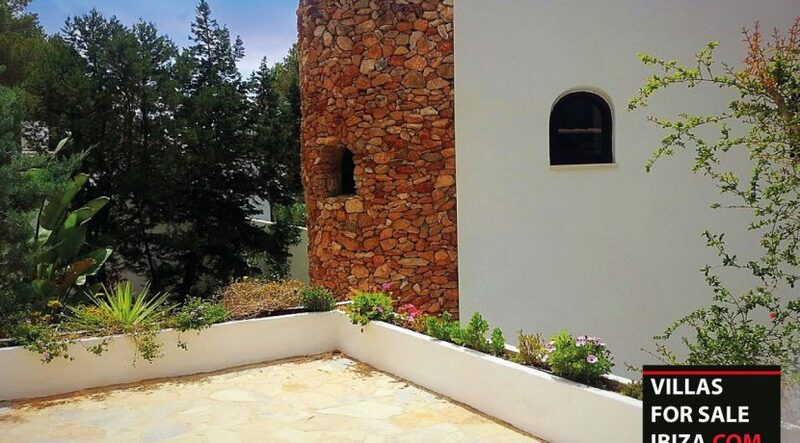 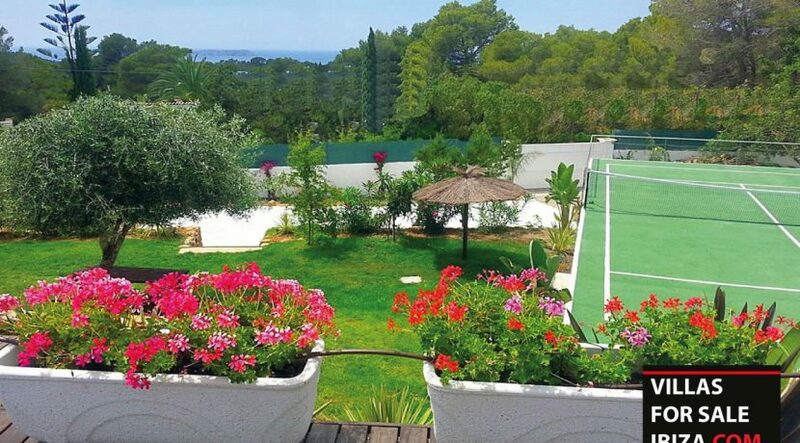 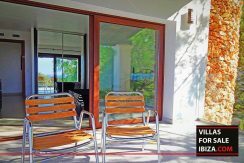 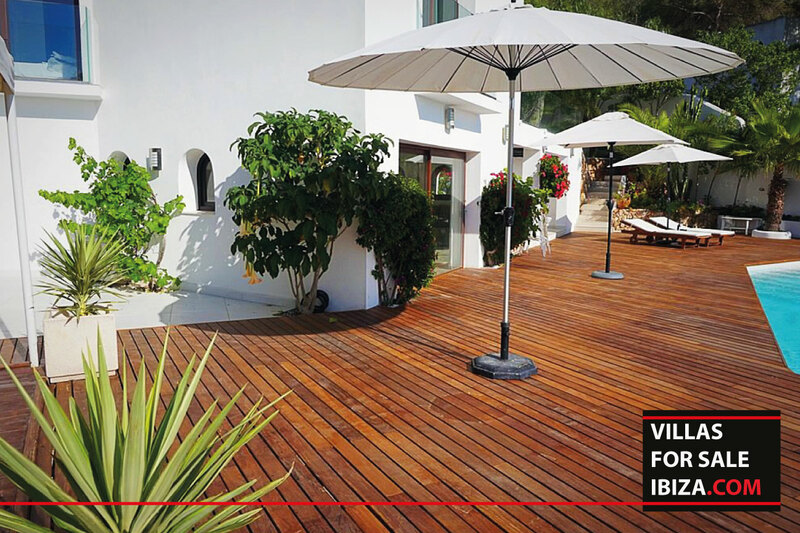 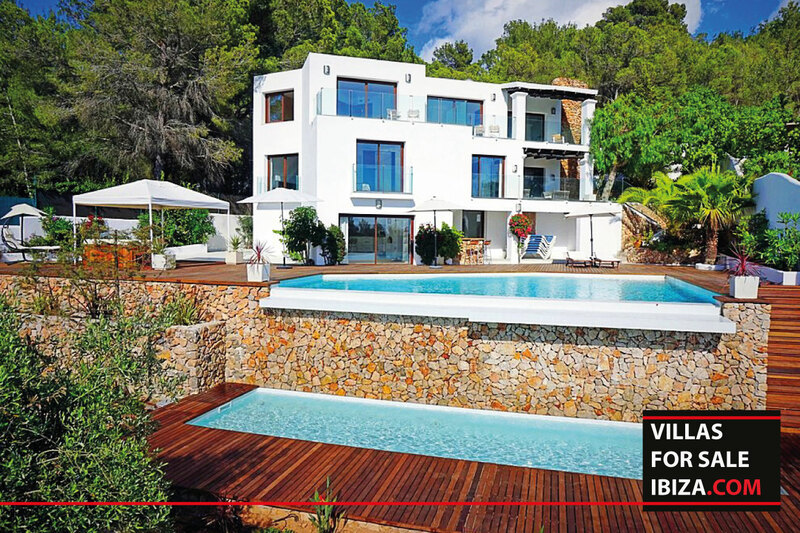 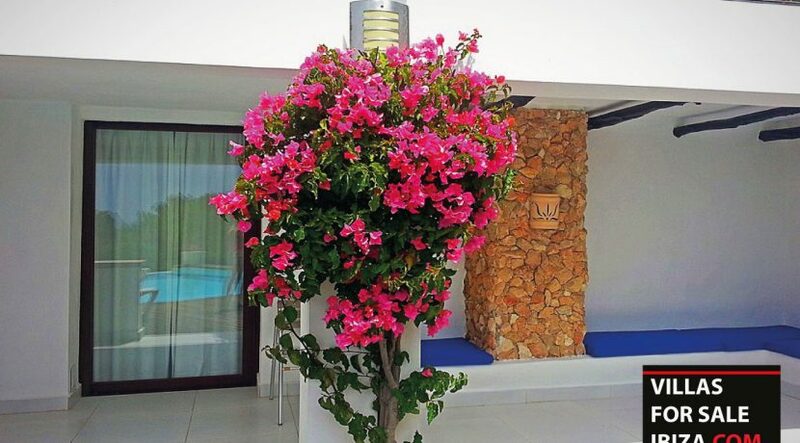 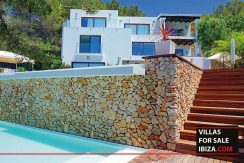 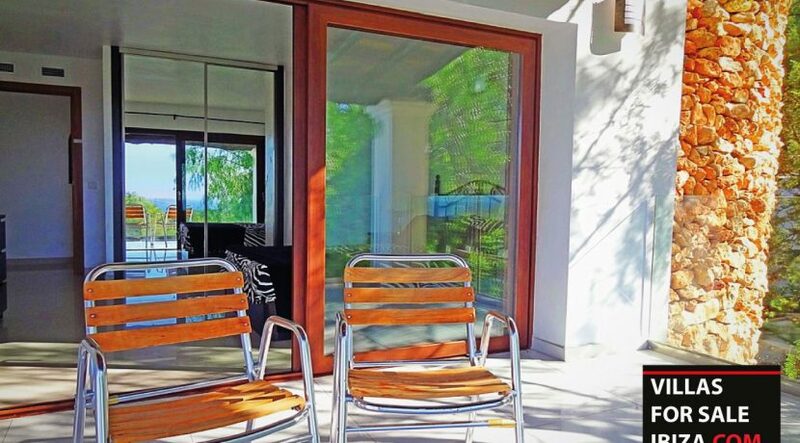 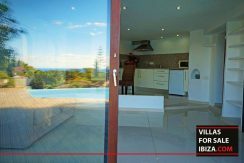 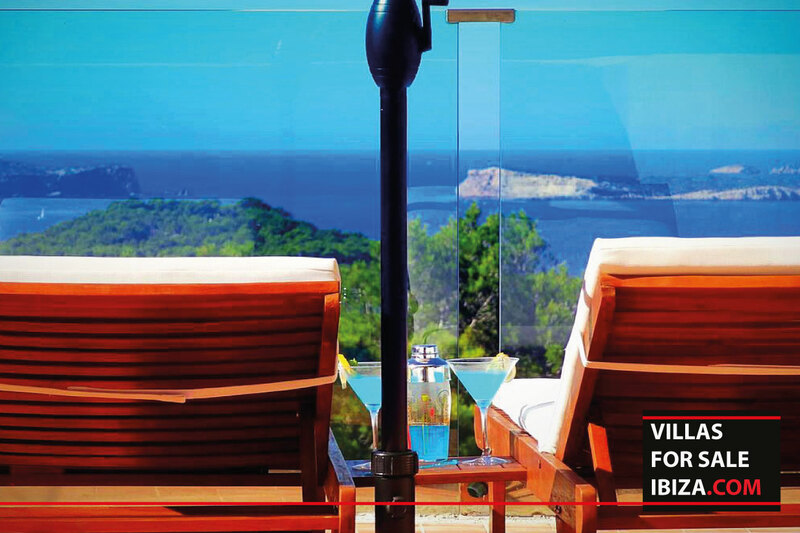 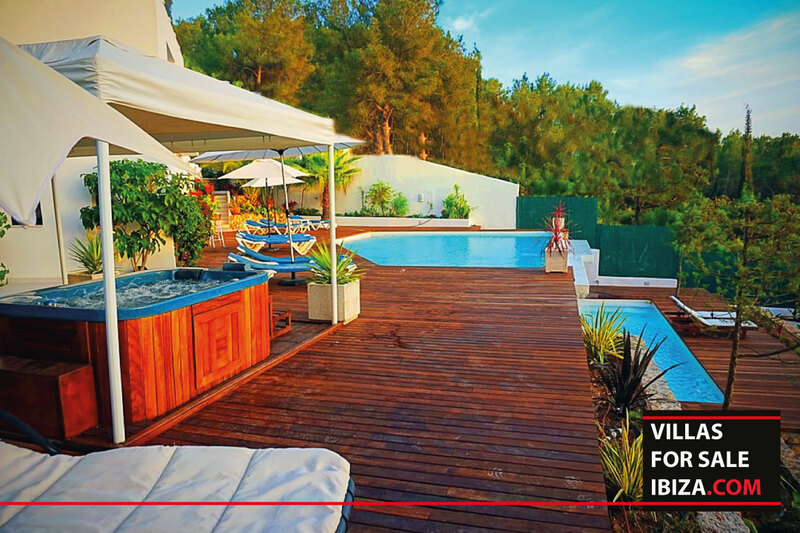 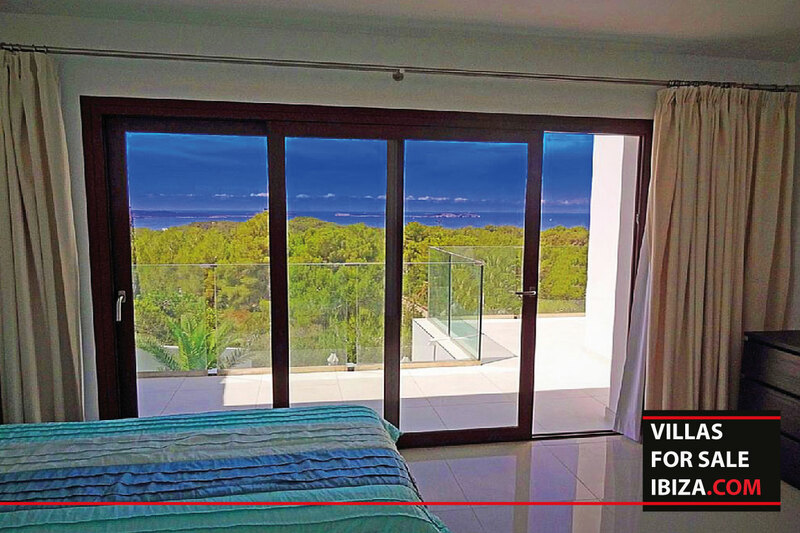 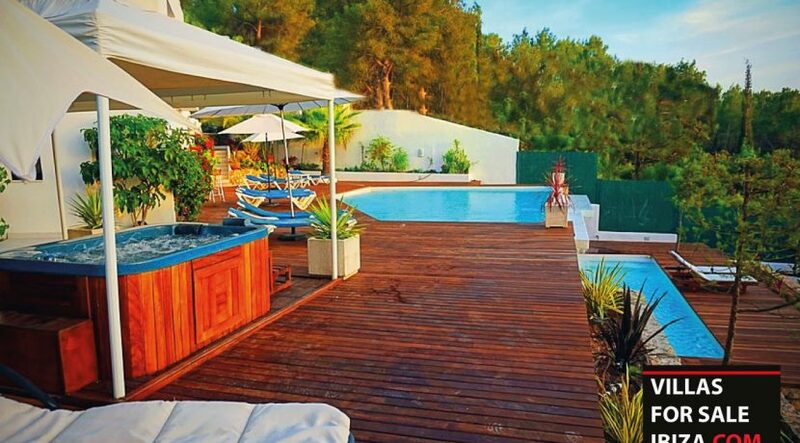 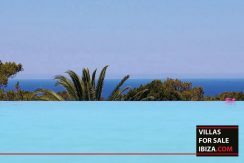 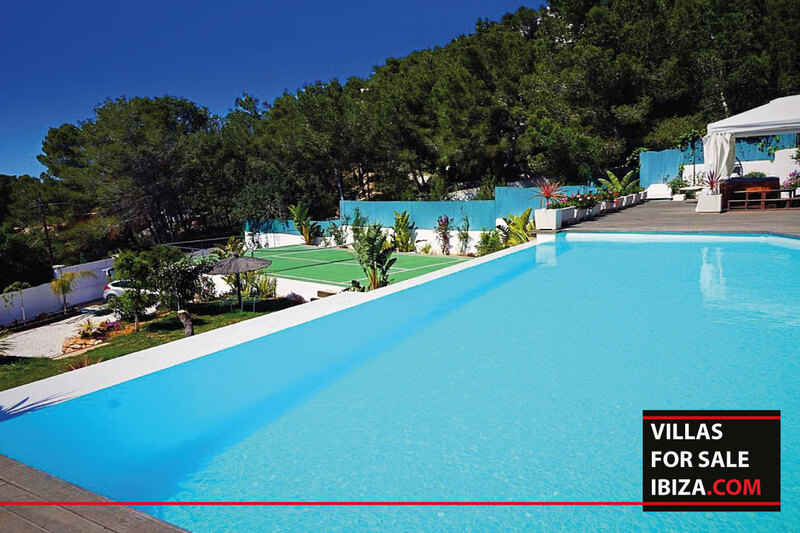 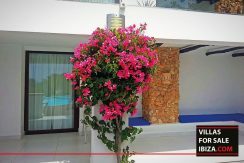 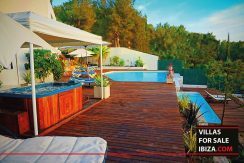 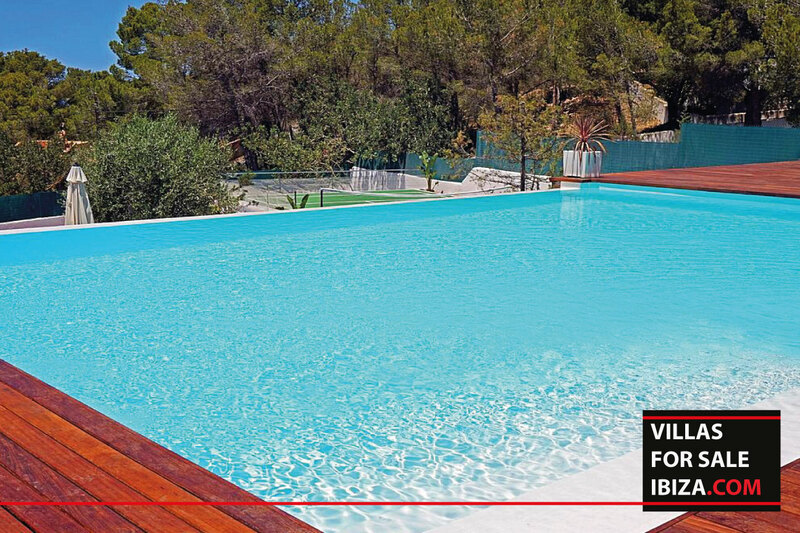 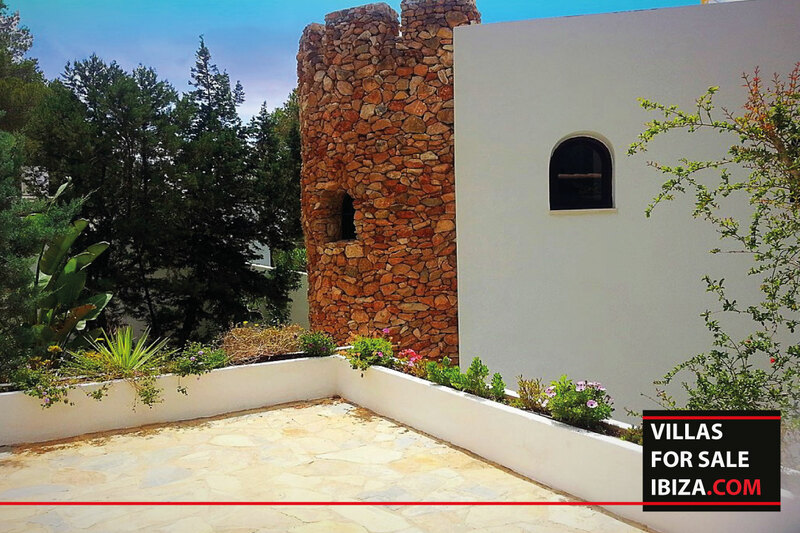 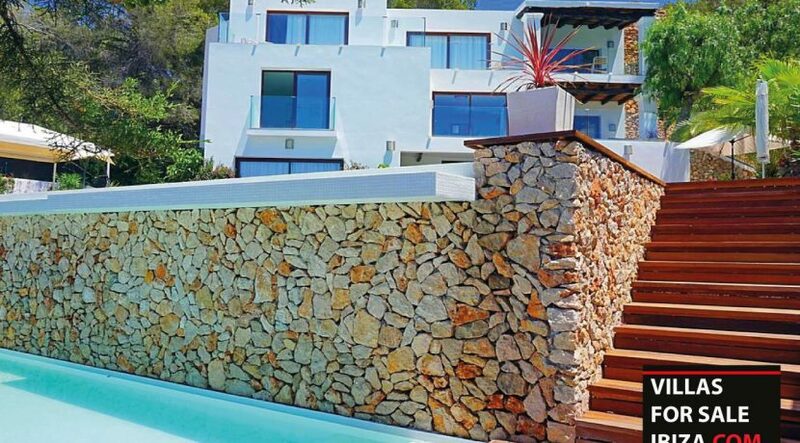 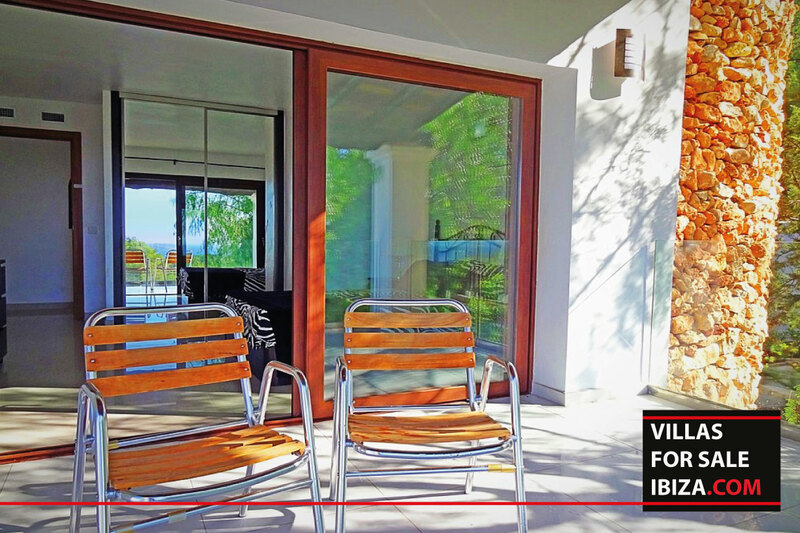 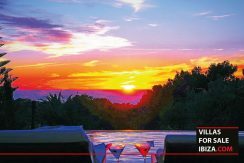 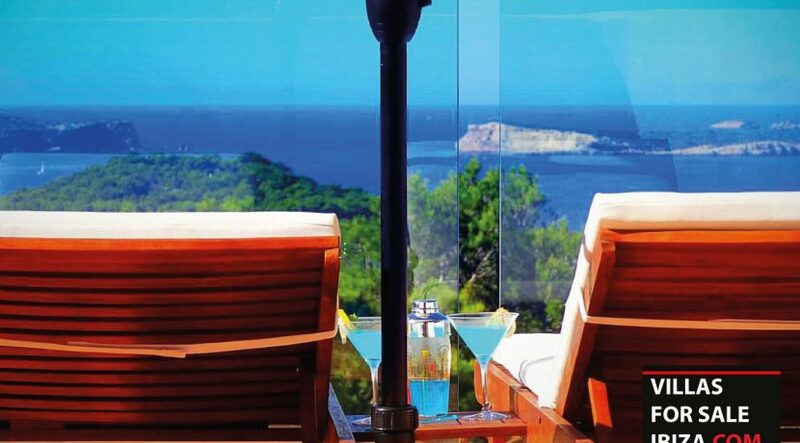 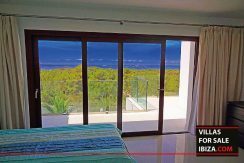 VILLA FOR SALE – This beautiful Villa is located in the hills of Cala Salada and within walking distance of one of the most beautiful beaches of Ibiza. 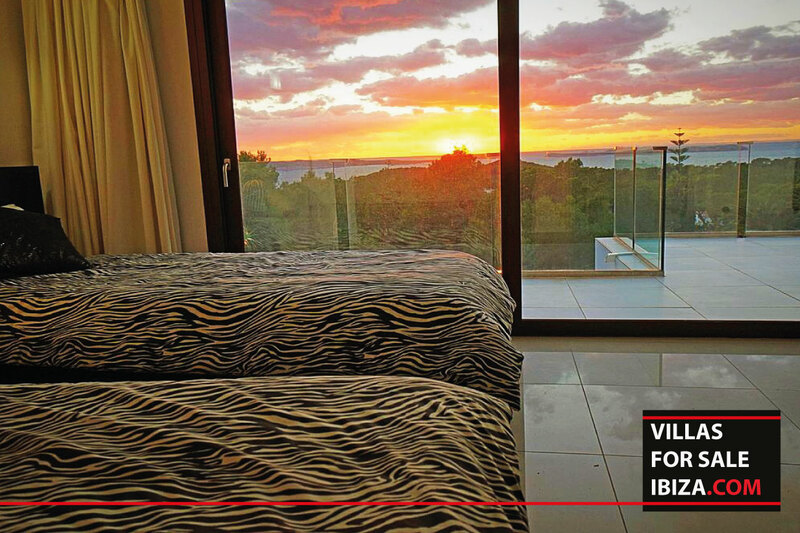 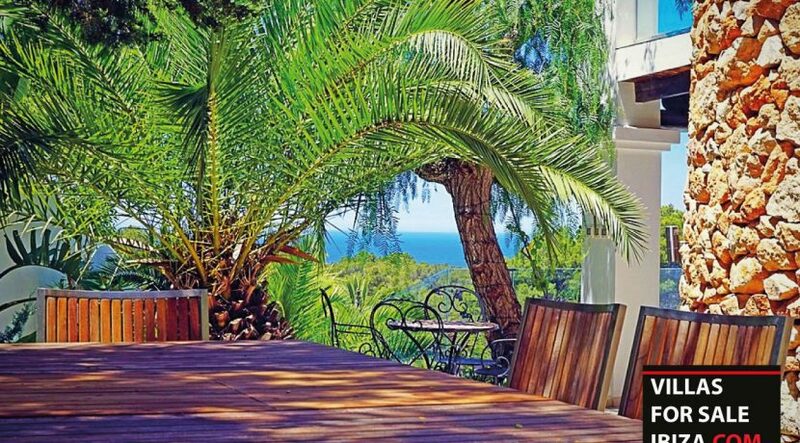 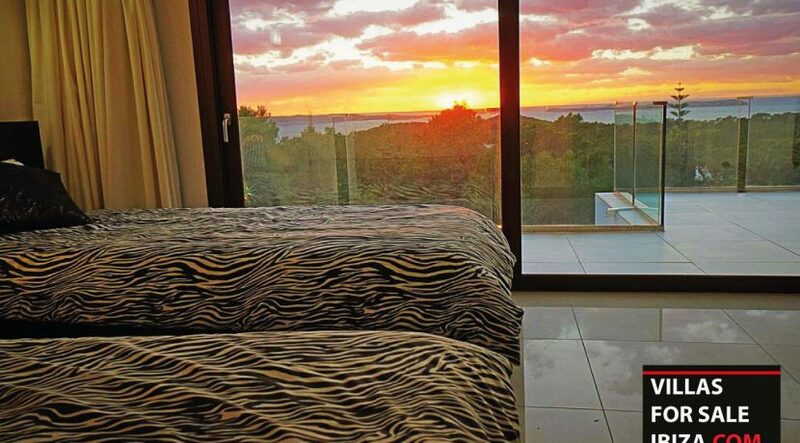 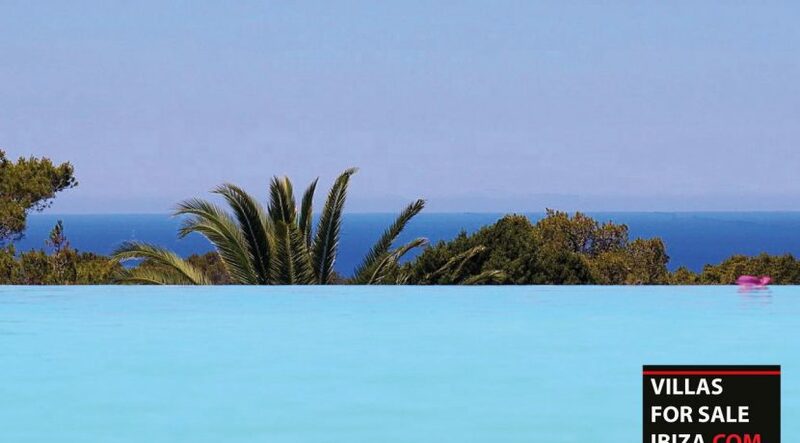 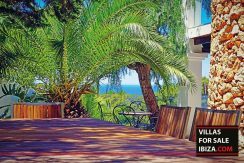 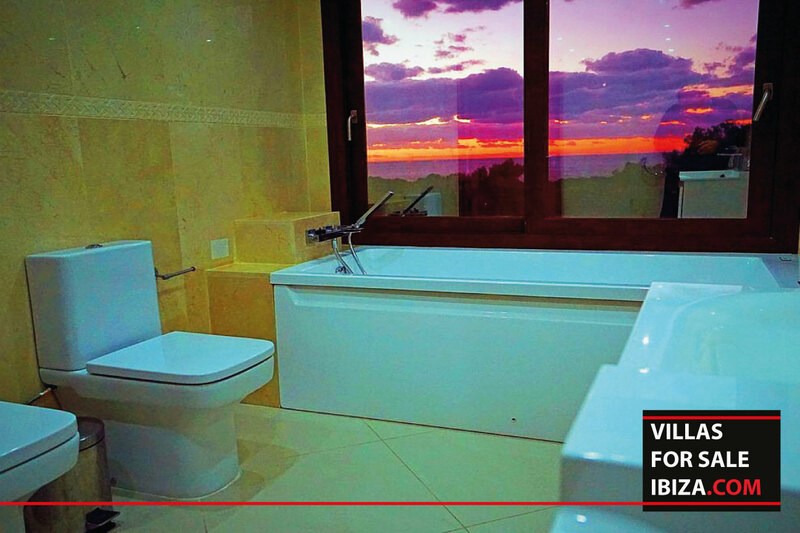 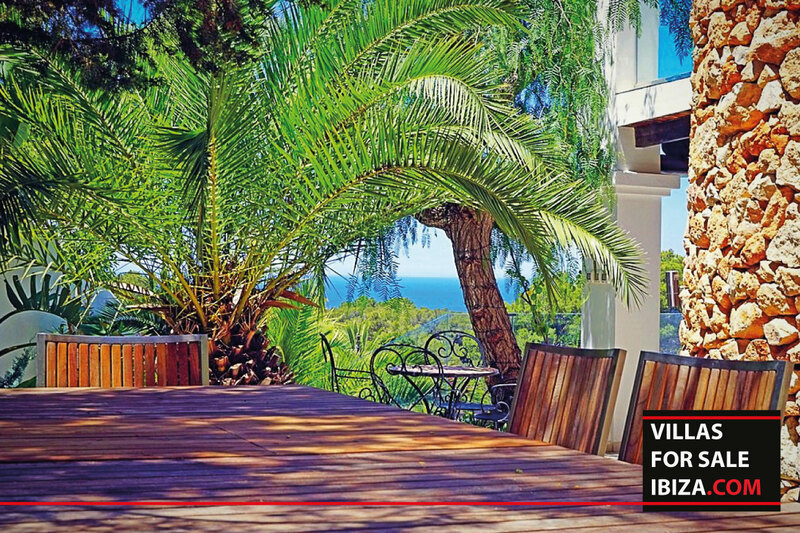 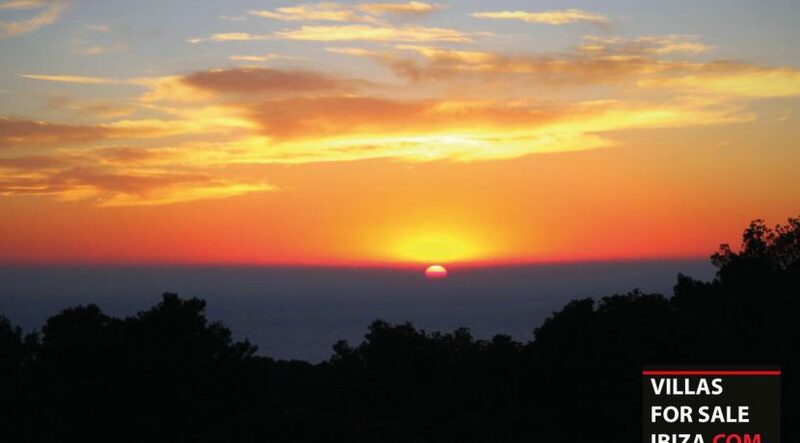 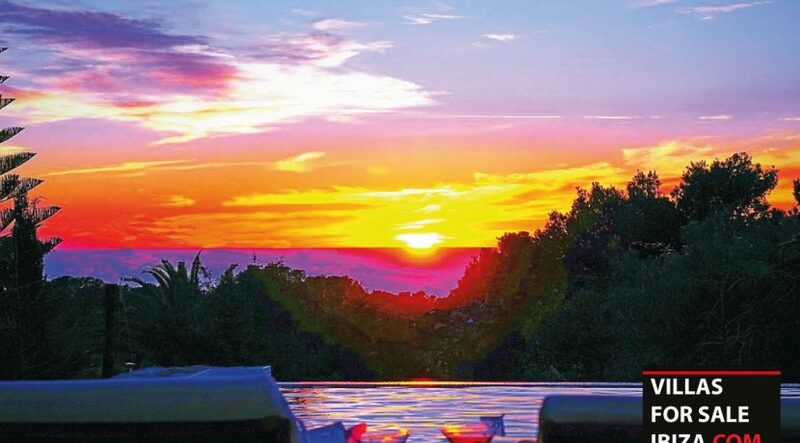 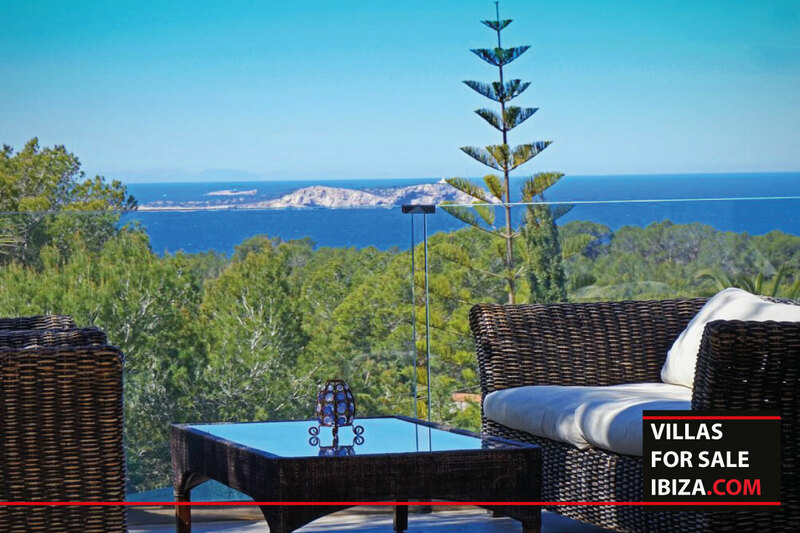 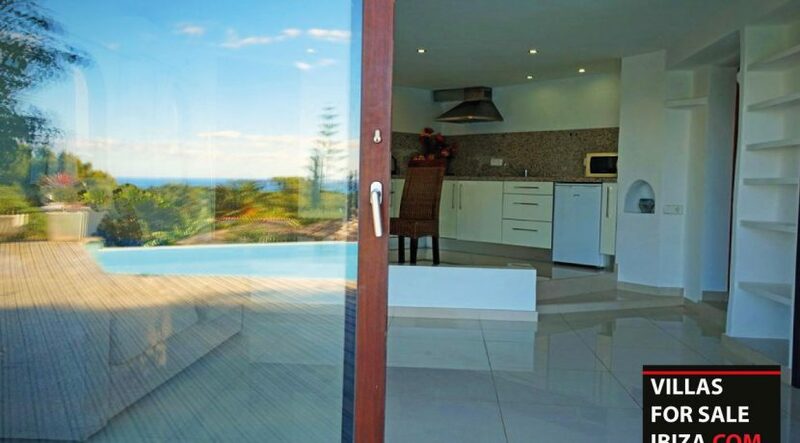 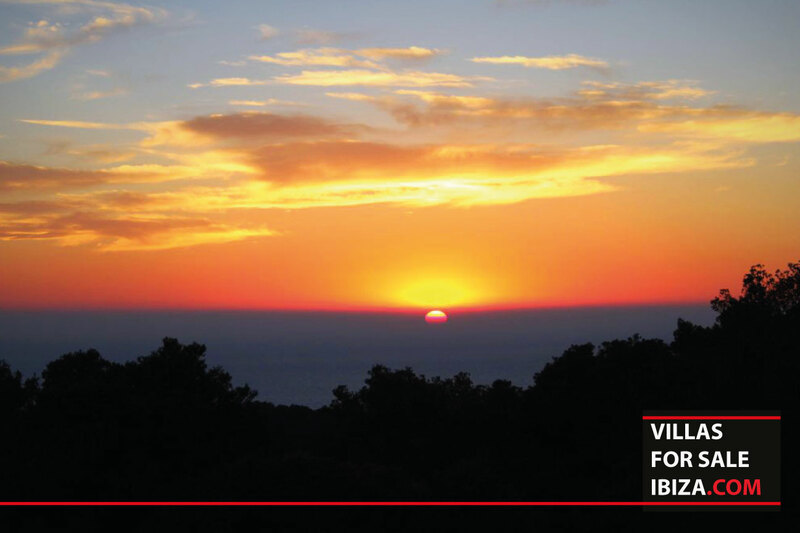 This luxury villa has a beautiful view of the sea, the sunset, and the islands. 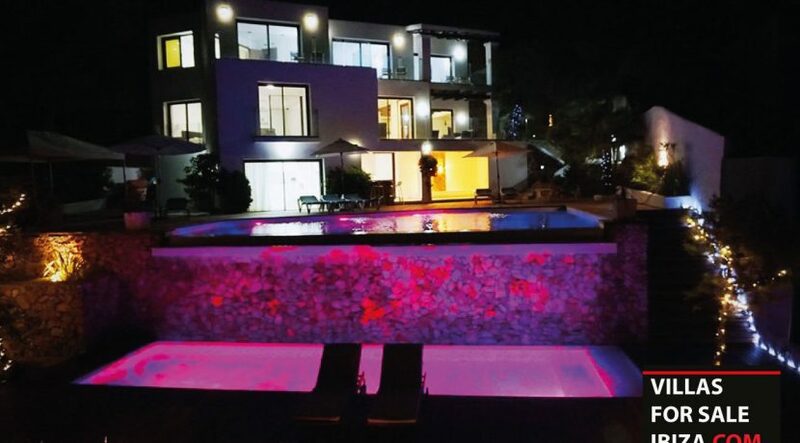 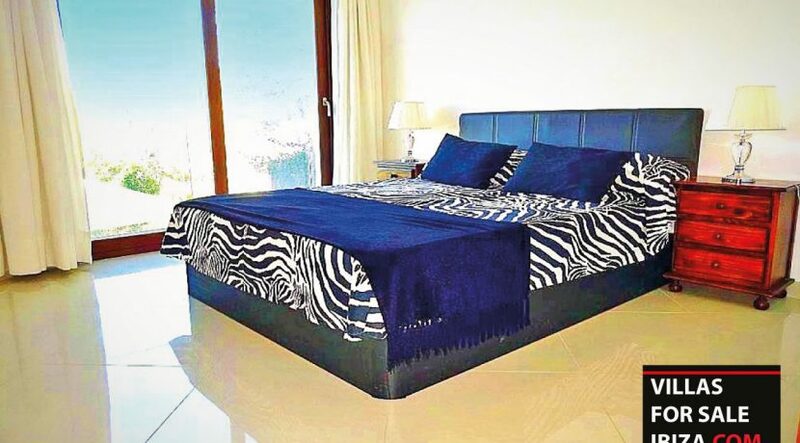 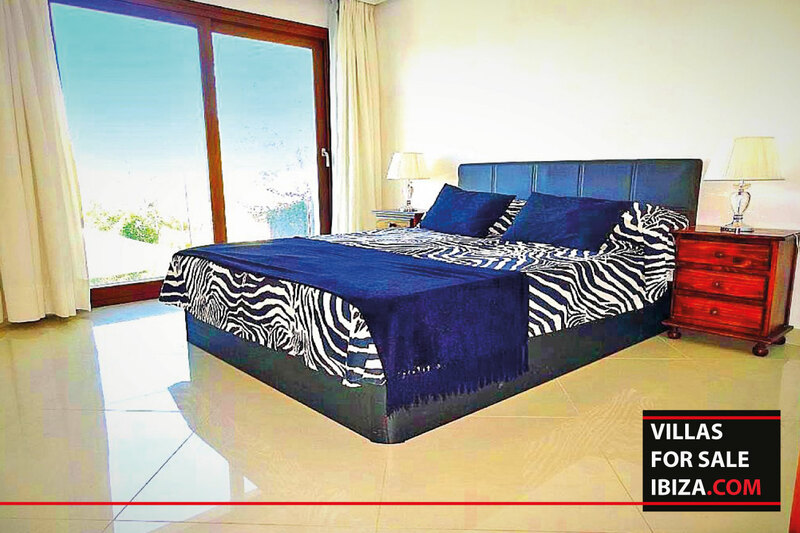 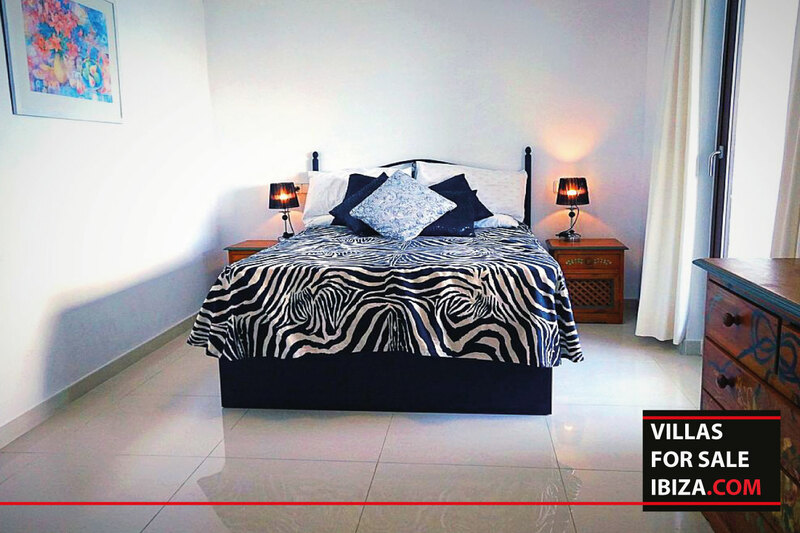 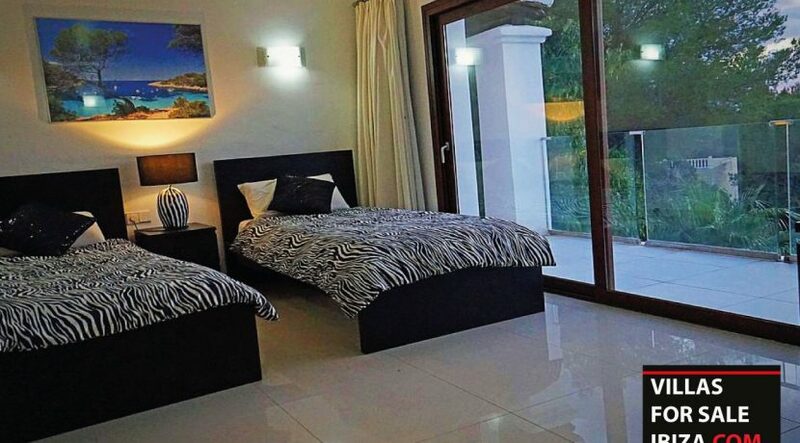 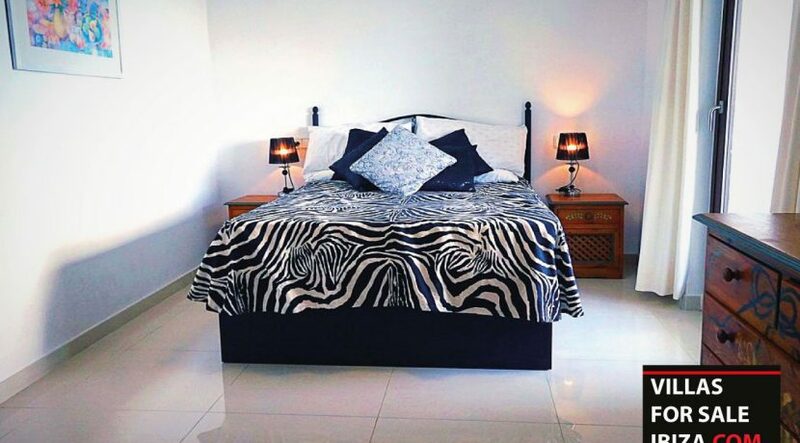 This villa has six bedrooms and seven bathrooms. Of which five are en-suite. 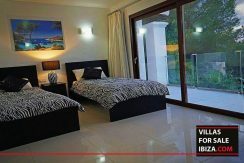 And an independent separate apartment. 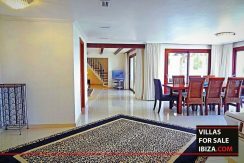 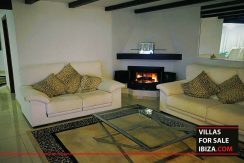 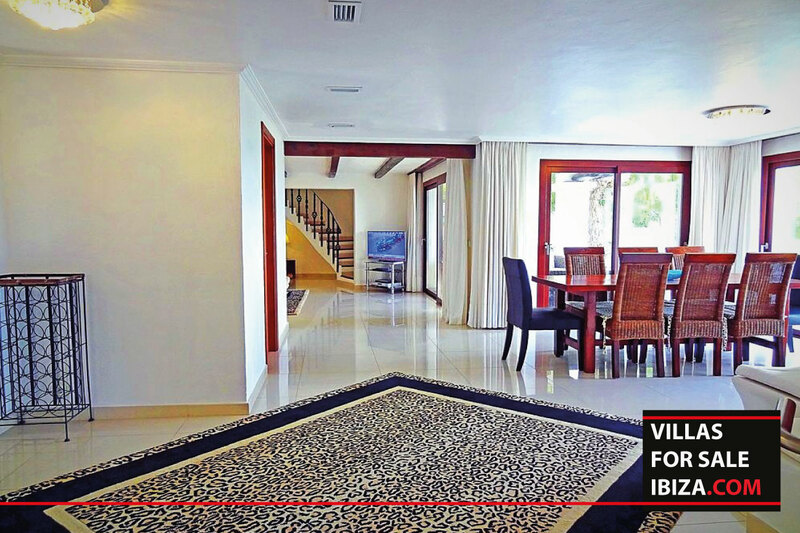 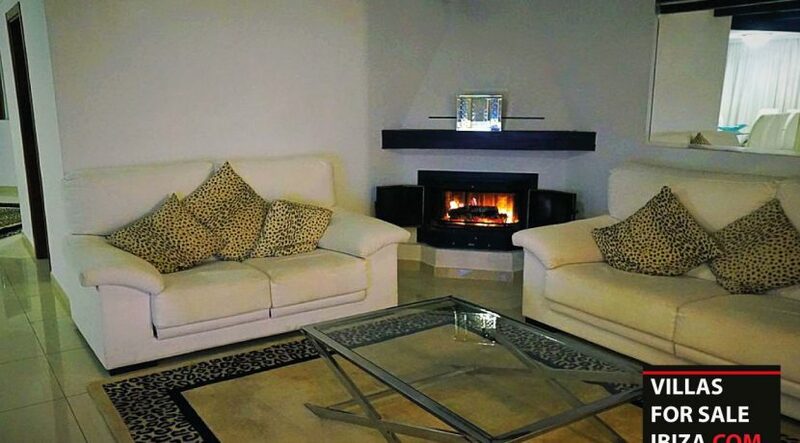 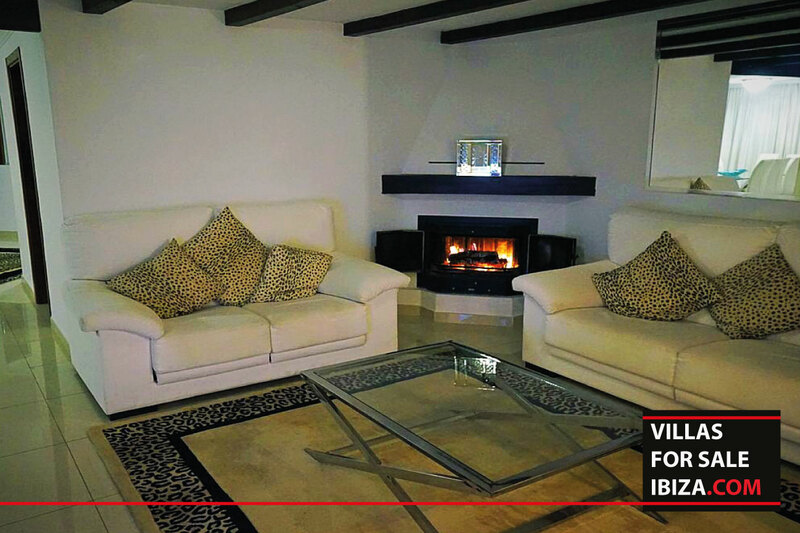 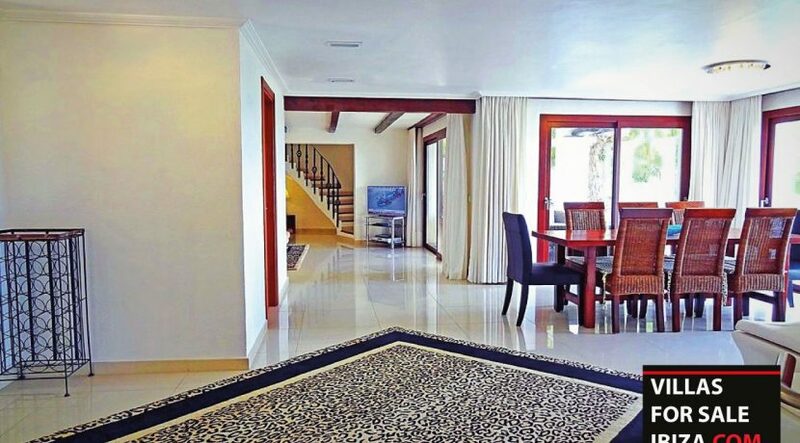 This villa has a spacious living room with a dining room. 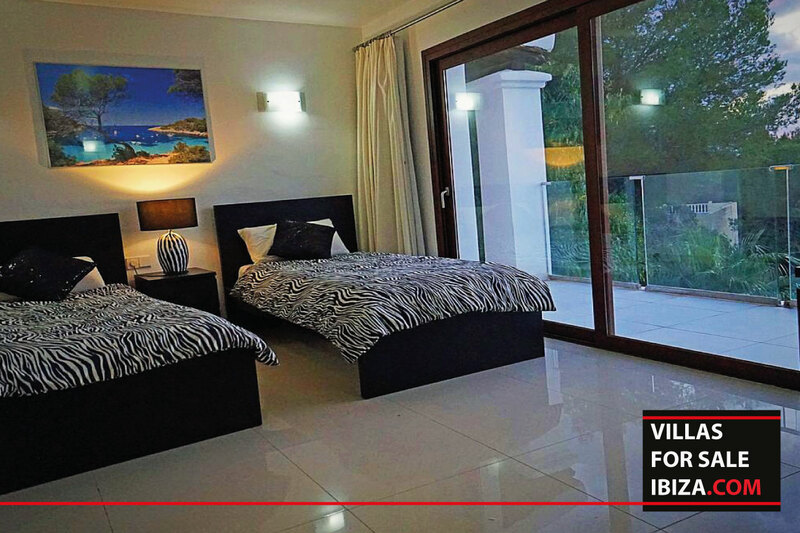 The three bedrooms upstairs each have their own balcony. 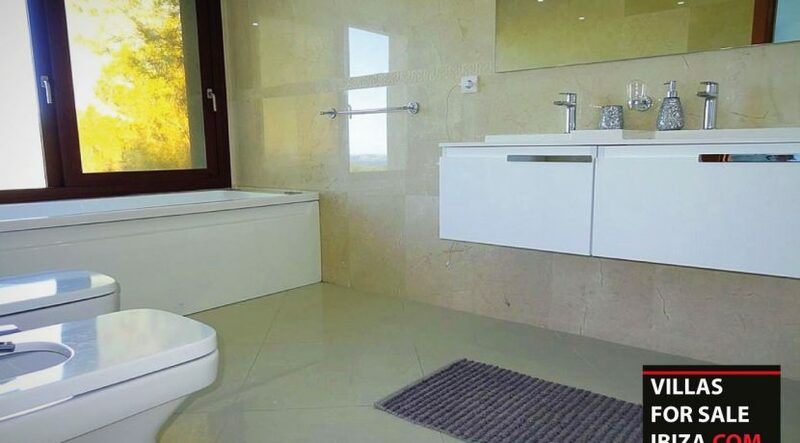 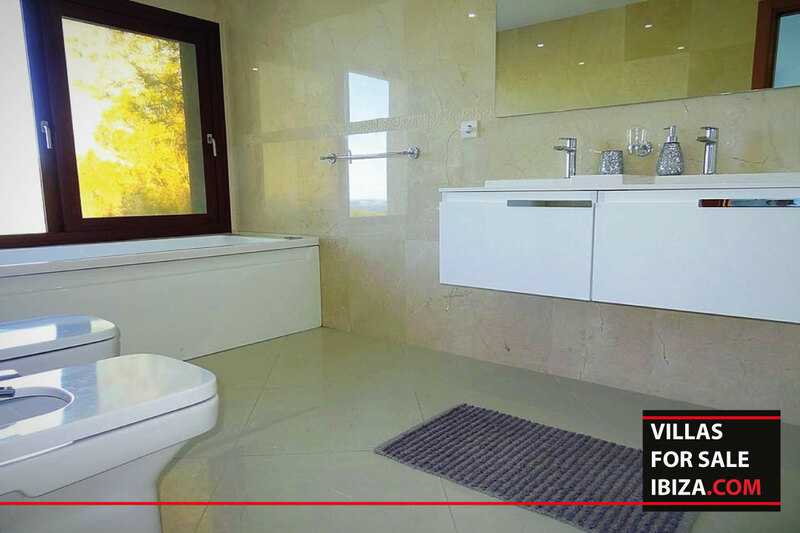 The master bedrooms have a modern bathroom with a hydromassage jacuzzi. 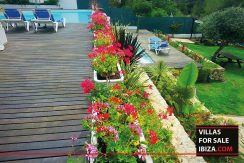 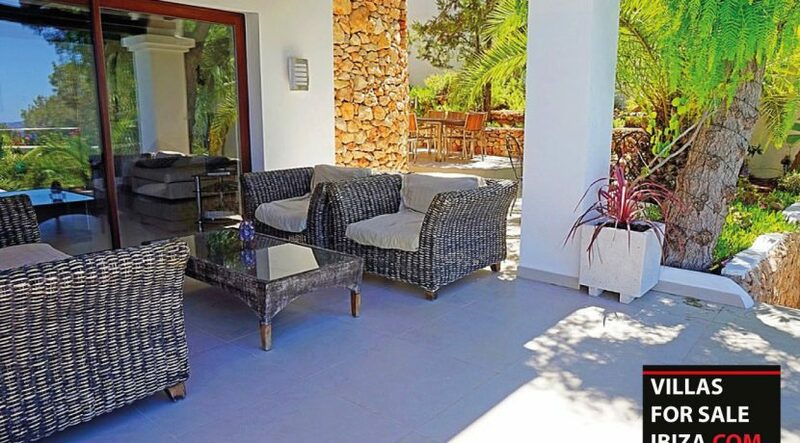 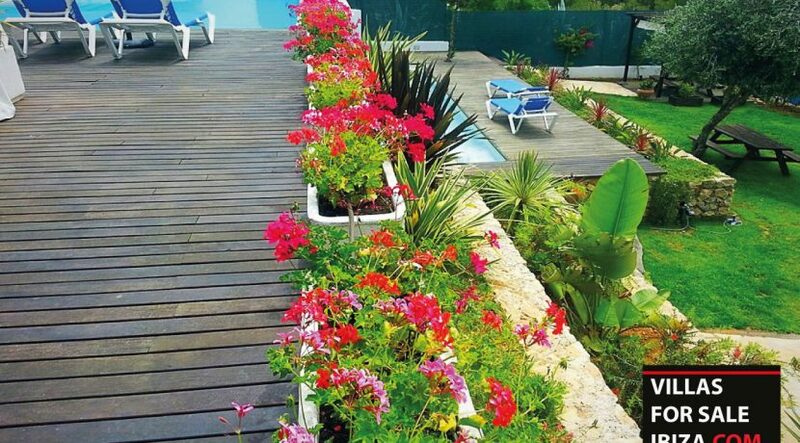 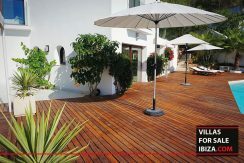 The garden is divided into different levels and has several lounge areas. 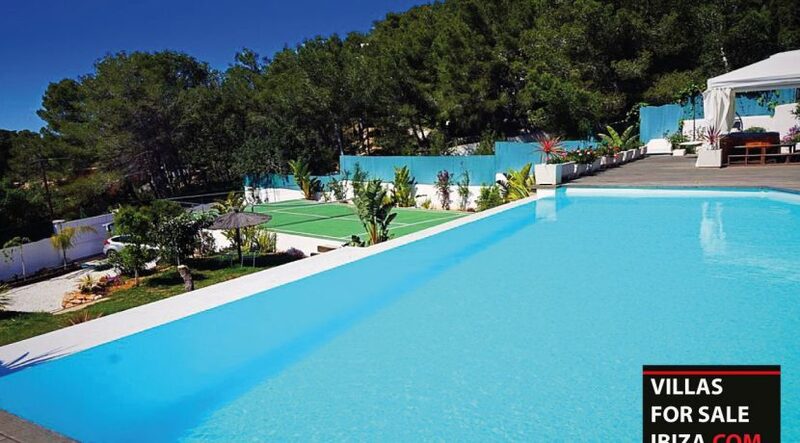 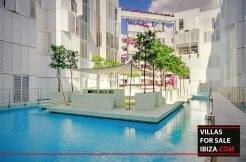 It has a main pool and a children’s pool, especially for the kids. 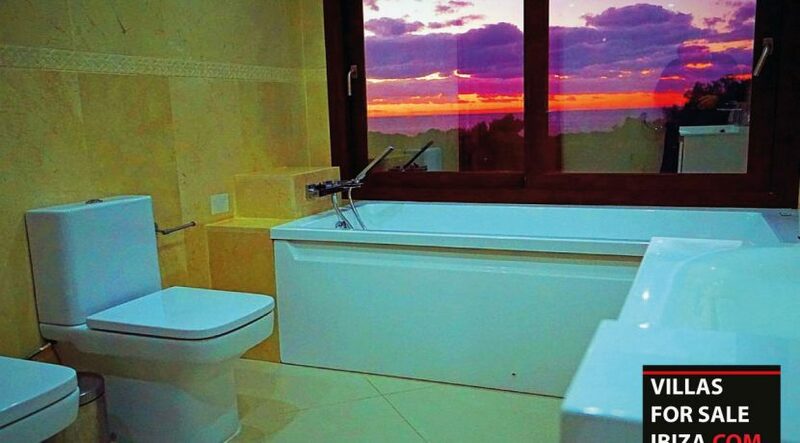 There is also a separate jacuzzi. 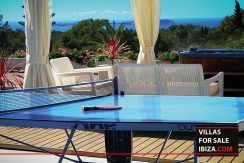 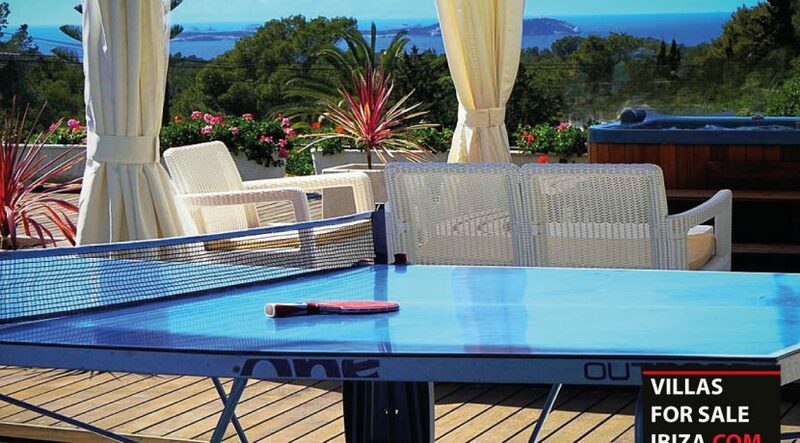 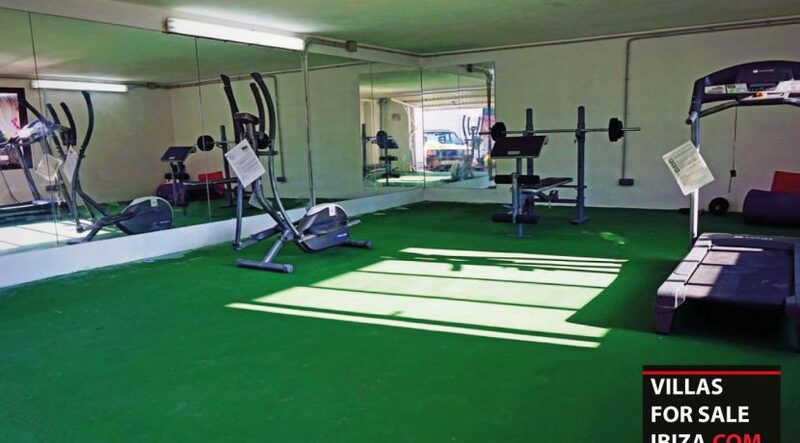 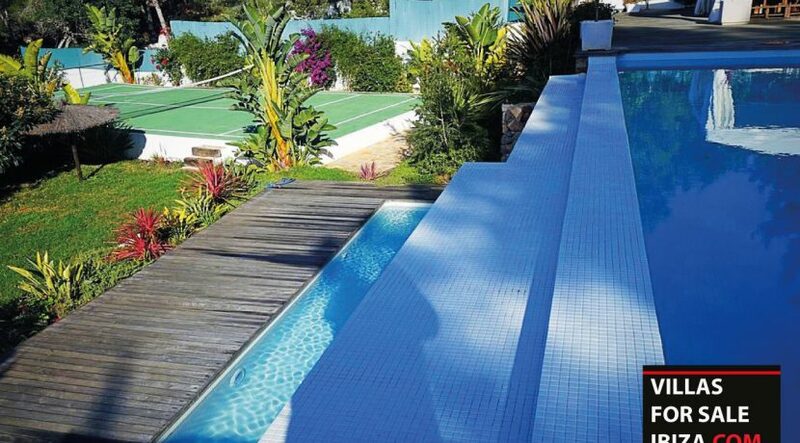 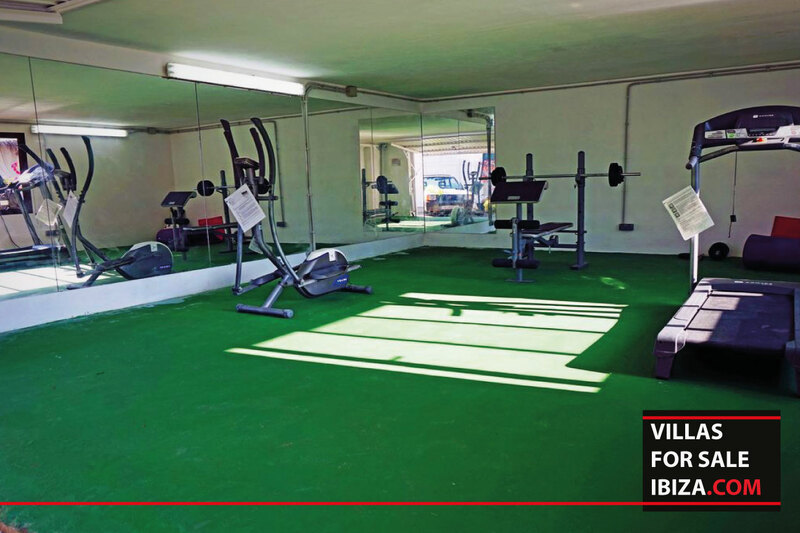 The house has its own tennis court, gym, table tennis and a fish pond.